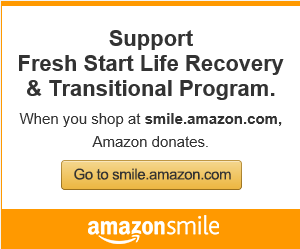 Fresh Start Life Recovery & Transitional Program (FSLR&TP) provides recovery support, transitional housing, and life skills education for disadvantaged women seeking recovery from any of the following: homelessness, domestic abuse, human trafficking, prostitution, adult entertainment industry, substance abuse (must be in recovery or completed a recovery program) and any other related circumstance. FSLR&TP prides itself on being the only transitional organization for women in the Tennessee Valley with long-term housing case management. It offers approximately two years of transitional housing and detailed educational programs, whereas other organizations mainly offer six to twelve months of transitional housing with limited educational programs. 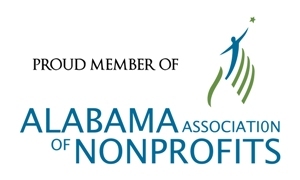 Additionally, FSLR&TP serves as a liaison for the Alabama Department of Human Resources and offers assistance to clients with family reunification. This is particularly important, since majority of the clients of FSLR&TP do not have custody of their children. Our organization offers life skills education to clients through an eight-step program that enables effective, independent living. To achieve this, FSLR&TP utilizes a combination of in-house training, along with local and state resources that provide the following: personal case management, personal development, vocational training, on-going substance abuse counseling, interpersonal skills, community involvement, leisure activities, parenting skills, financial skills, evidence-based counseling, group counseling, independent living skills, and faith-based ministry classes. FSLR&TP believes such a combined approach fosters empowerment and is a major key that allows its clients to develop self-sufficiency. To assist clients in a suitable manner, the anticipated staff of FSLR&TP will comprise professional from the following backgrounds: social service, social work, theology, mental health, and health care. 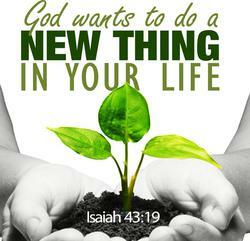 Primarily, FSLR&TP strives to equip its clients with meaningful, enriched, spiritual lifestyles. Dr. Tracy Gibson is the driving force of FSLR&TP and she leads the organization as an Executive Director. 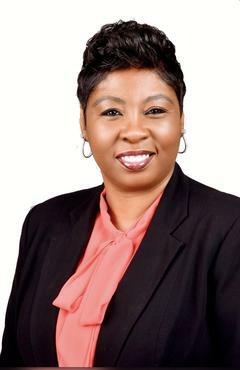 Dr. Gibson earned a Bachelor of Science Degree in Sociology and Psychology at Troy University; a Master of Divinity and Biblical Counseling Degree at Regent University; a Doctorate Degree in Ministry and Biblical Counseling at Reach for the World School of Ministry; and she is currently pursuing a Master of Social Work Degree with concentration in mental health at Walden University scheduled for completion November 2018. Thereafter, Dr. Gibson will begin work on her PhD in Social Work with Walden in November with a concentration in Family Studies & Intervention. Dr. Gibson has over 20 years of social service, ministry, counseling, domestic violence advocacy, and non-profit management experience. Dr. Gibson began counseling with the Department of Defense in the Family Advocacy Program, working with spousal and child abuse victims. Tracy is also a proud veteran of the United States Army and before being called to ministry full-time, she also worked with the Department of Veterans Affairs as a counselor and case manager for our nations disabled veterans. While working as the Senior Director of Women and Children’s Ministries at Downtown Rescue Mission in Huntsville, Alabama, Dr. Gibson developed several successful, proactive, empowerment programs, that became the foundation for nine and twelve- month recovery and transitional programs at the organization. Other notable career attainments of Dr. Gibson include: counseling adolescent and adult survivors of sexual assault and working alongside the Crisis Services of North Alabama to serve clients who experienced domestic violence and trauma. As an employee of the Alabama State Office of Human Resources, Dr. Gibson was instrumental in assisting clients with Child Welfare Programs and Adult Protective Services. Dr. Gibson also volunteered with juvenile detention centers, nursing homes, and The Lovelady Center in Birmingham, Alabama, to provide numerous outreach activities. Dr. Gibson has over twenty-five years of ministry experience to include being a licensed and ordained minister since June 2003; and has planted three churches since 2010. Tracy has also been active in the past with the Jubilee & Just Law Campaign of Fairfax, Virginia helping persecuted churches in countries such as Asia, Indonesia, Pakistan, China and Northern Korea; and defending the rights of those that dare to preach the gospel on foreign soil. Dr. Gibson has developed a comprehensive network of distinguished community leaders. Such a network will be instrumental in advancing FSLR&TP as well as contributing to the organization’s fundraising activities. In all, Dr. Gibson is the right one to lead FSLR&TP and this is the right time for change! 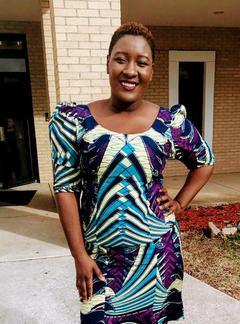 Racquel M. McLean earned her English Bachelor of Arts degree at Oakwood University, a historically black university in Huntsville, Alabama, and she is currently pursuing her Master of Social Work degree with Alabama A&M this fall. After completing her undergraduate studies, Racquel accepted a tenure position as a collection specialist at her alma mater. Her time as both student and staff at Oakwood University enriched her life in meaningful ways and allowed her to grow spiritually, academically, and professionally. In addition to her current role at FSLR&TP, Racquel volunteers at the Downtown Rescue Mission (DRM), a non-profit organization that provides assistance to homeless people throughout Alabama and Southern Tennessee. During a meeting at DRM with Dr. Tracy Gibson, former Senior Director for Women and Children’s Ministries, Racquel recognized a providential opportunity to collaborate with Dr. Gibson in transforming women and children through the Gospel of Christ. Unbeknown to Racquel, God was preparing her to serve on a larger scale with FSLR&TP and Dr. Gibson. When she is not engaged in work-related activities, Racquel enjoys preparing Caribbean meals, entertaining, reading relationship books, and spending quality time with friends. In the scheme of things, Racquel has an innate desire to assist people with personal, social, and spiritual issues. She gains personal fulfillment by serving in these ways and constantly seeks to improve her knowledge and skills to give others the best possible assistance. She firmly believes working with FSLR&TP will enable her to alleviate cycles of abuse, drug use and addiction, mental health issues, and poverty. Racquel is a proud native of Jamaica, West Indies, but she currently resides in Huntsville, Alabama. The friendly people and peaceful surroundings in Alabama often remind her of Jamaica and allow her to feel at home.